You're an indie game developer and you've got a new game coming up on Steam? You've probably decided on a release date, price and are now in the process of polishing your game to perfection. If that is the case, you're probably also thinking about writing a press release and distributing review-keys to famous YouTube channels and Twitch streamers. Givesupport is the tool you need! We know how difficult it is to draw the attention of YouTube and Twitch celebrities that have a huge following. Trust us, we've been there. Popular channels receive hundreds of messages from game developers and thousands of messages from their followers and subscribers! But what do content creators have in common with you? You guessed it, they need to generate a steady income to keep on working on producing awesome content, just like you! This blog post will give five important tips on what you can do to increase the chances for success for your upcoming indie game. You are probably about to send out review codes to popular content creators. Dont forget to mention that there's something in it for them too! If your game is available on Givesupport.to, make sure to mention it in your press release. Content creators are more inclined to make videos of your game if they can share in the profits! You won't be losing any money, since the default revenue-split is the same as it were on any other digital distribution platform (only with us you get extra YouTube and Twitch attention)! Reach a larger audience with Givesupport.to! If you've published a game before, you are probably familiar with couple of popular YouTube or Twitch channel owners. Think about sending them a personalized email to tell them that your games are available on Givesupport.to! A message like this will give them a reason to start playing your game, even if it has been out for a while. By now, you probably realize that Givesupport.to is not just another digital distribution platform. It is a powerful marketing tool! 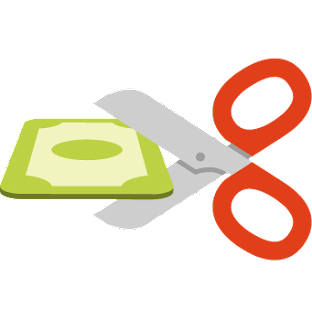 Think about adjusting the revenue split in the advantage for the YouTubers and Twitchers, this will increase the chances of getting (additional) coverage on their channels! Think about it this way: The channel owner will be performing a marketing and sales job on your behalf. Selling additional units in return for a small chunk of your revenue is not a bad deal don't you think? 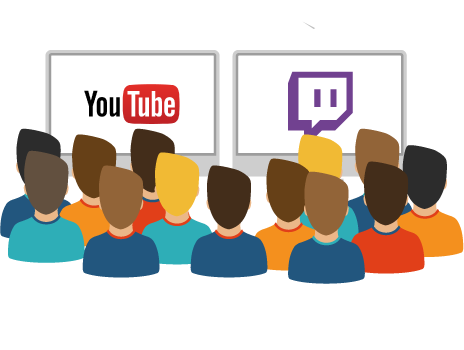 Giving an additional 15% to YouTubers and Twitchers during the launch window, or when you launch new content to an existing game is a solid strategy to generate more coverage from YouTube channels and Twitch streamers! If you decide to update your game with new content, make sure to remind YouTube and Twitch channel owners about this fact by sending them a message. Content creators are always looking for new games to play for their channel, especially if they get a cut of the revenue! At one point in time, after you have published your game, you should consider giving your game a temporary discount. Sure, Steam sales are a great way to generate additional revenue, but generally speaking don't give you any extra coverage! Discount your products on Givesupport.to when you don't have any other discounts running (making it more attractive for content creators to add your game into their store) or run it simultaneously with major Steam sales, allowing the content creators to promote the game and forwarding them towards their store and earn income. The better the game sells for them, the more they want to cover games that you've created and keep your games in their stores! Did any of these tips work for you? Perhaps you have some tips you can share with us. Contact us on Twitter or by sending an email to support@givesupport.to, and we'll make sure to include your tips in our next blogpost! This first step is vital to making your store more visible among your subscribers: Add your store link to the description of the videos that you upload to your YouTube channel. When you play a game that is available in your store, make sure place a direct link to this specific game. In order to do this, go to your store page, click on the product and select one of two links below. The direct checkout link automatically adds the game to the customer's basket, making it possible to checkout super fast! Copy & paste one of the two generated links and create more visibility to your store! Make sure to add your store link to your YouTube banner. The YouTube system automatically recognizes that you're linking to Givesupport.to, which adds the logo of Givesupport to the banner. Go to the top-right corner of your banner on your profile page and click on 'Edit Links'. From this page, you can easily add the link to your store page and you are good to go! Make a short video of approximately 2-3 minutes about your store on Givesupport.to. Explain what the store is for and why you're are using it. You can also explain what games you will be offering . Don't forget to put a link to the store in your description too! A lot of channels forget that the About page is often visited by new potential subscribers. Having a link to your Givesupport.to store on this page tells your visitors right away how they are able to support your channel. If you are using both YouTube and Twitch (or if you're just running a Twitch channel), you might want to add a banner to your Twitch page. Also, make sure to mention your store during your streaming sessions! You have our permission to use the Givesupport.to logo for this purpose. You are probably using social media channels in order to keep your followers up-to-date of new videos. Why not mention your store page from time to time? A short Tweet with the right hashtags, a Facebook post where you ask for support or an Instagram picture of equipment you will purchase with the money generated through your store. Make sure to tag Givesupport.to in your social media messages too, we are able to share and Retweet these messages for you! We are able to promote your store too, just let us know! 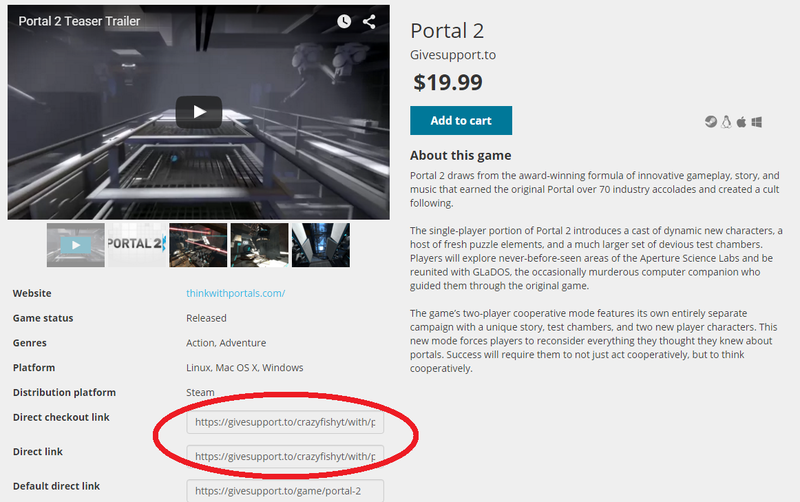 In order to sell more copies of your game, customers should be able to purchase your game from Givesupport.to stores! If you haven't signed up yet, make sure to click here to sign-up and start selling your game! Assuming you have created your account, you have to go through our curation process, which usually takes a couple of hours to complete. We need that time to judge various factors from your game, such as: the overall production value, if it is a published or unreleased game and if you have completed all the necessary registration steps to create a product page. Fill out all the required fields. Completing optional information will give us a better overview of what your game is about, increasing the rate and speed of approval! Use 4 awesome screenshots for your game, the first screenshot should contain the logo of your game, clearly centered in the image. Optional: You can set a discount for your game, increasing the chance of your game getting added to stores. Optional: You can adjust the revenue-split, the default setting is 70% - 15% - 15%. Once your game has been approved and is ready for sale on Givesupport.to we will notify the existing store owners (content creators) that your game is available via a newsletter. If you have more than one title in your portfolio, you have to register that product separately. The review process will be the same for each product. Send us an email in case you have any questions, suggestions or want more advice! Make sure to read our '5 golden PR tips for indie game developers' blog! Distribute your product on Givesupport.to and generate extra revenue and get more coverage! In this blog post, we outline some tips and tricks that you can use to improve your store on Givesupport.to. First, let's make sure you have setup everything correctly in terms of the design and layout of your store. You need to add an avatar, banner and set a color as part of the setup process of your store. This is the text that is displayed right under your store name (for most of you, this is your YouTube or Twitch channel name). You can use this line to enter a slogan or catchphrase that people might recognize you by. The goal is to make sure that whoever clicks your link, they understand that the your store represents you. If you need some inspiration, think about writing something to motivate your followers/subscribers to purchase a game and support your channel. You could also use this section to state what describes your channel best (e.g. 'The best indie-games!' or 'High quality reviews of strategy games!'). You can provide a short description of your store. We use this text to help Google understand what your page is all about. Write this description in a way that can be read separately from the rest of your site. Make sure to keep it short, search engines like that. As for content, you might also want to reflect on what your store has to offer. For instance: "Nothing but the best strategy and RTS games" is something that people will instantly be able to identify with. When a customer purchases a game through your store, they will receive an email that contains the product key. You can use this field to enter a personalized thank-you note for your customers. We highly recommend adding something sincere since it will be recognized as a reward by our customers. As part of our customization tools, you can choose a specific color to support your avatar and background image. Most YouTube or Twitch channels have a look-and-feel that they want to reflect in everything they do. Choosing a color is a nice way of doing this on your store as well. Make sure to preview your store after you've chosen a color. Some colors may impact the readability of your store and confuse visitors. The avatar is probably something you are familiar with. It will be shown as part of the header of your store, and in the order confirmation email to customers. Make sure it meets these requirements: 200px*200px JPG or PNG. We recommend using your YouTube/Twitch avatar for this area, allowing your followers and subscribers to quickly recognize the store! Make sure to add links to your social media channels! Customers will be able to quickly cycle between the store, your channel and your social media channels. We've added the most popular social media channels like Facebook and Twitter, but we also allow you to link to your Steam profile and/or Steam curator page. We highly recommend adding all channels you are actively using. Links to your social media channels will be displayed on the bottom right of the header. The background color of the icons is decided by the background color that you have selected. On Givesupport.to, you get to decide what you want to offer in your store! Go to 'Manage products' in the administration panel to find the the catalog of available games. 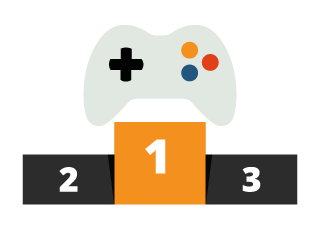 You will see an overview of all kinds of useful information like the title, platform, state of the game and the percentage you'll earn each time that specific game is sold on your store. In this chapter we will discuss some of the features that are available for you as a store owner. Heart Icon: Use this to recommend a product. It will now be displayed on top of your store. Clipboard: Write a short review about the product and place a link to a YouTube clip of you playing that particular game. The review and YouTube-clip will be displayed on the store page, giving your followers/subscribers more information about a product. Eye: with the eye-icon you instantly get taken to the product page in your store. By doing so you can preview (if you haven't accepted it into your store yet) how everything will look. The minus: with this button you can remove games from your store. Offer games that match your YouTube or Twitch channel. If you exclusively play strategy games, consider recommending games from this genre. Your audience is probably less interested in purchasing the latest sports title. Recommend games you like, and write short reviews for them. This will allow your subscribers to make a better decision whether it is a game they would enjoy! Keep an eye out on the amount of keys that are available. If you start making a movie or stream about a game that has 10 product-keys available you could potentially miss out on sales! Also make sure to check out our 'Best practices'. A document we created specifically to help you on your way. Do you have suggestions we could help you to improve your store? Make sure to send us an e-mail, we are always open for feedback and suggestions! We are thrilled to announce that we have officially launched Givesupport.to, and we are celebrating this with our very first blog post! We will use this blog to announce new features, milestones that we've achieved and to keep you posted with the latest news about Givesupport.to. Now that we are live, content creators and developers are able to sign up. We are reviewing and approving new stores and products as fast as we can! Keep an eye out on your inbox, since we might send you a message in case your store or product requires additional information! If you have registered as a store, make sure to use all available features. If your store looks the part, we will feature your store, and include you in our promotional activities! If you think your store qualifies to be featured, shoot us a message or tweet and we'll try to get you featured on the front page. If you tag us in your social media messages we will also be able to retweet and share your posted messages and content! From within the administration panel you have the ability to recommend products or leave a review or comment. Recommended products will be displayed at the top of your store, while reviews and a YouTube link will be displayed on the product detail page. Utilize this feature to inform customers about a specific product, increasing the chances they will consider supporting you. It is also a great way to get people to view more of your videos. If you link your review or lets play video of a game directly to the product on Givesupport.to, customers will be able to check your review before they buy the game! You can add all your social media platforms to your account on Givesupport.to. The links to these channels are displayed in the top right corner of your store. Make sure to add all that apply to you, since customers might want to go back to one of your channels after they have visited your store! Your fans and followers need to know about your store! Consider making a short movie on your YouTube channel, or explain it live during a Twitch streaming session. Your follower-base needs to know what the platform does, what it has to offer and how they can support you in making awesome content! Have you entered a 'Thank-you message'? This is what your fans will receive once they have purchased a game in your store. Have you uploaded an avatar and matching background image? Have you added links to your social media channels? Make sure to select products that you recommend, have made content for or want to play in the future! This will ensure that your followers recognize that you have curated the selection of games on your store. Have you created a video that explains what your store has to offer? Have you added the link to your store in descriptions of your content and added the link to your YouTube/Twitch profile? Have you posted a message on your social media channels about your store? Did you read the 'Best Practices' that contain a lot of tips and tricks to optimize your store and utilize all the features of Givesupport.to! Consider using the "direct buy" link if you want to draw attention to a specific product. It can be found on the bottom of a product page when you're logged in. Last but not least: We are always available to help you out. Make sure to send us a message if you have question or if you have a suggestion on how we can improve. Don't be shy, we won't bite. In this blog post we will explain how Givesupport.to works in terms of paying content creators and developers/publishers. On Givesupport.to, the default revenue split is the same as most other digital distribution platforms. The developer or publisher who owns the rights to sell a game receives 70% on each sale, while content creators and Givesupport.to both receive a 15% share. However, developers have the ability to change the revenue split in the advantage of the content creators. This way, Givesupport.to can be used as a marketing tool, allowing the content creator to receive up to 80% on each product sold! We're not suggesting that everybody should go to this extreme, but even offering a share that is a bit larger than the default, might convince more content creators to feature your product in their store. 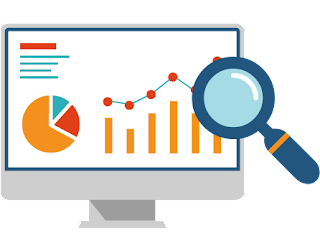 Both content creators and developers are able to monitor sales and other useful information in real-time by means of the administration panel. Everyone who uses the Givesupport.to to sell games can withdraw money using their PayPal account. Currently, we have require a that a transaction is atleast $50. All payment requests are reviewed by the Givesupport.to in order to prevent fraud. We aim to review payment requests within 24 hours. Why would you give a store owner a larger share? First of all, you as a developer are able to decide what you want to receive per sold copy of your game. You are able to give a content creators (or store owner) a 'bigger piece of the pie' in order to make your game more interesting, and possibly to receive a larger coverage on Twitch and YouTube. When you create new content for a game that has been out for a while, it difficult to get media and press to spend time on your game. By allowing content creators to earn a bigger share, they can help draw new players into the game for you! If you're an indie-developer, and you're about to release your game, you are probably trying to get buzz going around your product. With over 7000 games on Steam as of October 2015, and hundreds of developers all going after the same group of people, this is already a difficult job. Reaching out to curator groups, bloggers, YouTubers or Twitch channels will eat up a lot of your time. You can use Givesupport.to to draw the attention of popular channels to your game. 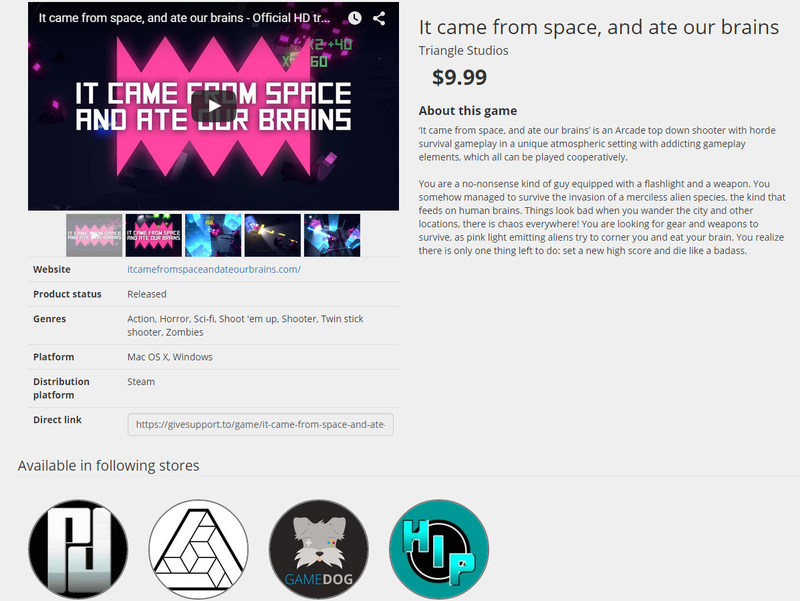 Let's say you release your game with a higher-than-average share of 25% for the store owner. This might cause channels to request a review key and possibly make a review video about it. They could also play the game and recommend it on their store. Either way, they are offering your product to their fans and followers, freeing up more of your time to focus on other things. Read more about our revenue split in our 'Best Practices' from within the administration panel! If you have any questions regarding the revenue-split or want to provide us with some feedback, make sure to shoot us an email or reach out to us on Twitter! In this blog post we will explain how you as a developer or publisher can add your game to the catalog of Givesupport.to! Givesupport.to is not just a distribution platform that you can use to generate additional revenue. It is also as a marketing tool that helps you generate more awareness for your game on YouTube and Twitch! You can register your account by clicking here, or continue reading on to see what we, as a platform, are looking for! First, head over to the Givesupport.to and register your account. Once you have registered your account, you will be able to add your product. It will take just a couple of minutes! Log intto the administration panel, and click on 'Products'. From the drop-down menu, select 'Add Product'. All fields that are required for submitting your product for review are indicated with a red star (*). Keep in mind that the more information you provide, the better your product will perform in the store and the quicker your product gets approved by Givesupport.to! Description: Fill in the game's features and story. You probably have already written this text because you are also selling your game on other distribution platforms so to save time you can simply copy & paste that particular text! MSRP: Enter the price that you are also maintaining on other distribution platforms! In our review, we will check if the price of your product matches the price on Steam and other platforms. Genres: You can select multiple genres, but we recommend you using up to five genres, making it easier for store owners to identify your game for what it is. You can add up to four images. These will be displayed on the product page of your game, and on the store front pages. The first image slot will be the main image that will be displayed on the stores of store owners, we highly recommend that you put the logo of your game on the center of this particular screenshot! You can upload PNG or JPEG images with an aspect ratio of 16:9. We will automatically re-size your images to the appropriate measurements. We will also automatically crop your images in case they do not match the 16:9 aspect ratio. When a product has all the required information and is approved it will be displayed as this picture. By default the revenue split is set on 70% for the product owner (developer/publisher), 15% for the store owner (content creator) and 15% for Givesupport.to. Since you are the owner of the product, you can choose to change the revenue split to your preference. 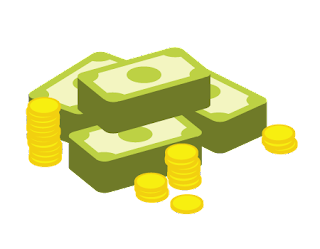 Consider the following: changing the revenue split in the advantage of the content creators, increases the chances that the content creator will promote or feature your game. If you have properly marketed your game, consider keeping the default revenue split in the first few weeks following the launch of the game. When you are about to release a major content update, consider adjusting the revenue split in the favor of the store owners, increasing the chances that they will cover your game even though it has already been released. It is up to you whether you want to use Givesupport.to as just a distribution tool, a marketing tool or both. You could consider mentioning Givesupport.to in your press releases, allowing store owners to instantly know where to look when they want to feature your game. 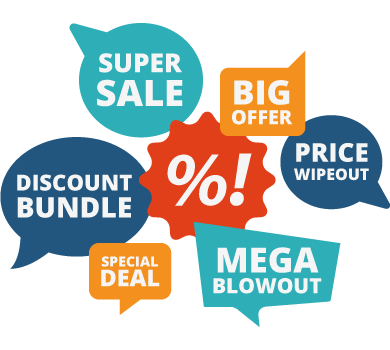 Just like on any other distribution platform, you have the ability to discount on your game. Instead of communicating back and forth about the discount percentage and duration, we've enabled you to set the discounts yourself. We advise you to run discounts simultaneously with other major sales events. We will review and curate every game that is submitted to Givesupport.to. Your game will only get approved when you have filled out all the required information. Your game will only show up for review once all information has been added. We will review all submissions as soon as possible. Sometimes we might contact you with a request for more information regarding your game, or if we feel that you need to make a few adjustments to the product page. For example: we will tell you if you've uploaded low-quality screenshots, selected genres that don't match your game or if you did not include the proper trailer. We aim to curate each submission within 24 hours after you have submitted all the required information. This process can go a lot faster if you make sure that you have submitted everything correctly! The latest news about Givesupport, awesome PC games deals, events and features! Welcome to the Givesupport.to Blog! Givesupport.to 2015. Simple theme. Powered by Blogger.